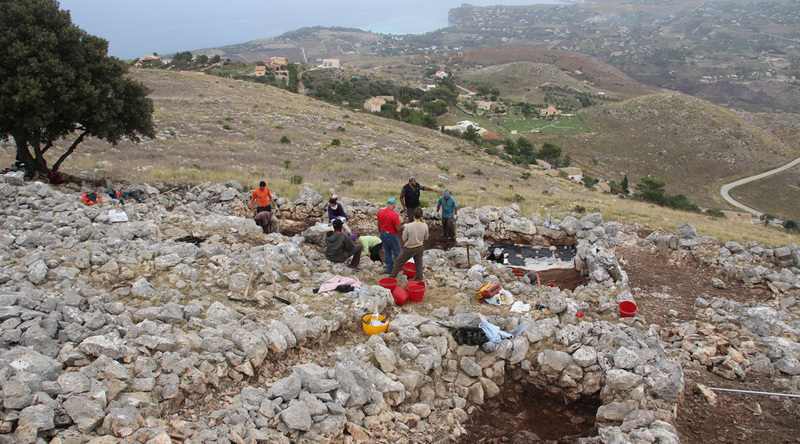 Pizzo Monaco (Custonaci, Trapani), was the archaeological site chosen for the excavation. Thanks to previous work in the area, the site had been interpreted as a possible collective fortified granary (aghadir) dated in the Islamic period (10th?-11th century). The site is located on the top of a calcareous peak, called Pizzo Monaco. 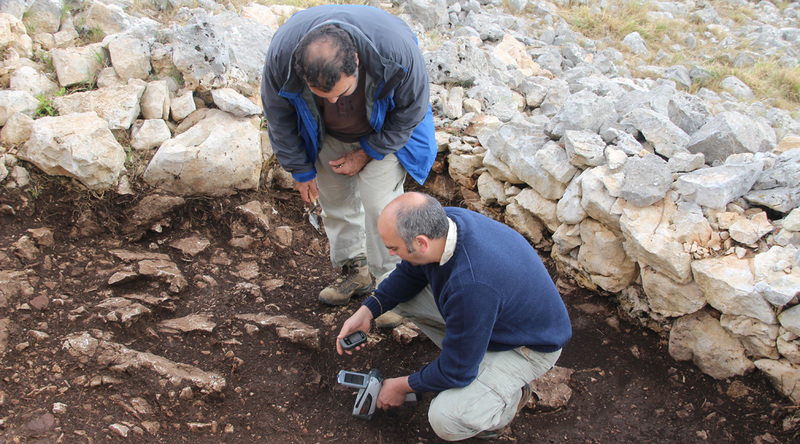 A trial excavation conducted in 2012, confirmed the research potential of this settlement. If findings confirm our hypothesis, the importance of the discovery will be enormous, as it would represent a unique case in Italy, and the most ancient Islamic site of this kind in western Mediterranean. The intervention consisted of an extensive stratigraphic excavation of the aforementioned fortification, as well as the development of an archaeobotanical and environmental analysis. The excavation aimed to address some historical topics of the Islamic period such as the material culture analysis (architecture, ceramic production, technical knowledge, among other characteristics); peasant strategies to preserve means of subsistence; the internal social organisation; the organisation of work and the accumulation processes; the natural vegetation and agricultural production; the agro-pastoral system and its workflow; and processes of Islamisation and Arabization. Thus, it has been an intervention characterised by the multidisciplinary perspective that the MEMOLA project proposes. The fieldwork campaign lasted five weeks, including a preliminary sampling of natural vegetation inside and outside the site. This experiment made by UNIPA researchers aim to demonstrate the influence of anthropic activity in present biodiversity. The site was completely cleared of vegetation before the excavation began, so that we could implement an accurate graphic documentation with aerial pictures and a complete photogrammetric model. For excavation purposes, the team opened an extensive area to organize the enormous amount of stones that obstructed mobility in the site. Thus , the first part excavated was the entrance to the structure, and the main corridor, or main medieval street. The area was divided into two large sondages in order to facilitate the documentation of the deposit. We have excavated part of two streets and five internal structures. Most of them have been identified as probable storehouse. However, the structure closest to the gate could have been a house for the guardian of the fortified structure. The excavation has initially confirmed our hypothesis, but we won’t be able to assure it until we finish the data analysis, including the pottery study. We have recovered an important amount of features, including a lot of soil, which has been completely floated for archaeobotanical analysis. Also, soil samples have been treated and divided for chemical and the biochemical analysis in the laboratories of the University of Palermo, CSIC-Rome and Sheffield. The activity has also been very successful in terms of social impact. 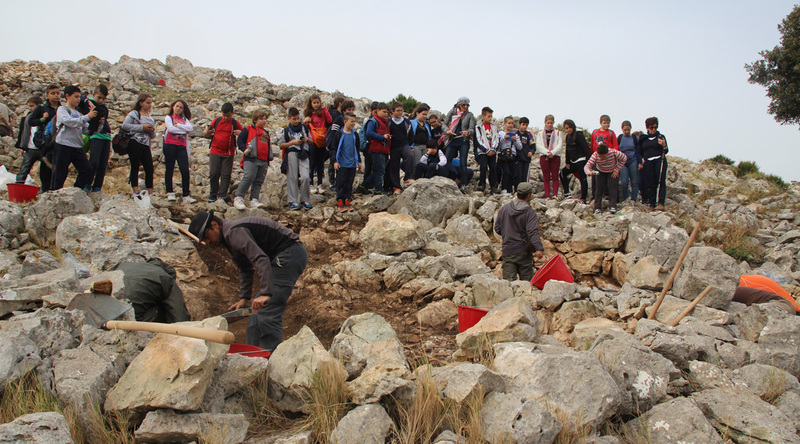 We have received the visit of three secondary schools of the province (Trapani, Sciacca and Castellammare del Golfo), with more than 220 students. 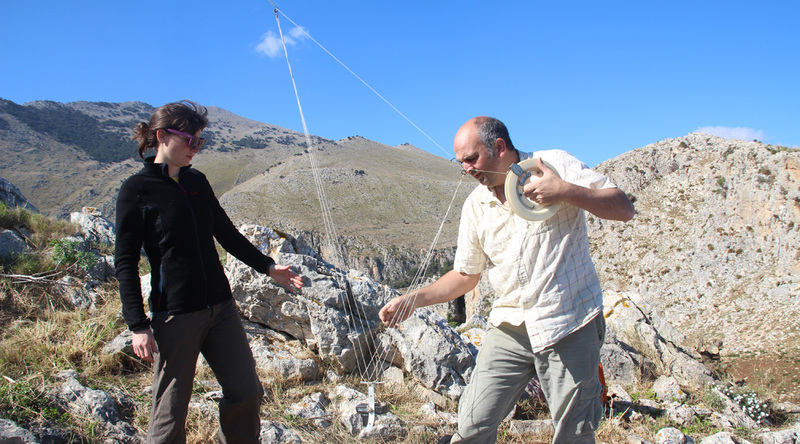 We have also contacted to local cultural groups as Sicilia Antica or Save the Castle of Baida. Volunteers from these local cultural associations have collaborated with the MEMOLA team by facilitating project presentations at different locations. Also during the excavation, a professional documentary has been filmed to highlight the historical importance of the area and project promotion. Thanks to the excellent results and the new collaborations established, the team has decided to organise a new archaeological campaign at Pizzo Monaco, next summer 2015. We are also planning more outreach activities related to the excavation, but also for the anthropological, environmental and agronomical activities of the project, with a focus on the irrigation systems present in the area of study.